Home > Department Store > [BHG Singapore] Get ready for the Christmas Season with BHG Christmas Private Event, starting TOMORROW 9 Dec(SAT)! [BHG Singapore] Get ready for the Christmas Season with BHG Christmas Private Event, starting TOMORROW 9 Dec(SAT)! Get ready for the Christmas Season with BHG Christmas Private Event, starting TOMORROW 9 Dec(SAT)! Enjoy storewide discounts of 30% off regular and 15% off sale items & cosmetics at ALL BHG stores! Plus, receive $5/$10 with min. 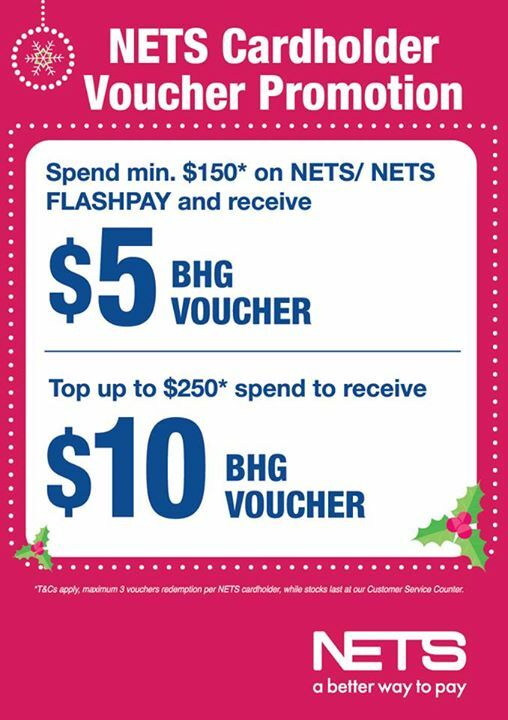 spend using NETS card! See you there!